What is the best 2nd Generation Drawing Program? Poll submission by AA user Toilettunes. I am going with Koala Pad on C64. I forgot about Video Graffiti. Ha! Blazing Paddles / Koala MicroIllustrator, accompanied by the KoalaPad itself. Runners up include Dazzle Draw and MousePaint. The reason why I don't list these as the winners is they are encroaching on 3rd or 4th gen proggies, and the tended to push the hardware too far to the point of there being slowdowns. I liked the Koala pads and the light pens too! Light pens seemed like the most logical way to draw on the screen when they came out; whatever happened to them? Semigraphics paint for the disk directory was a next generation drawing program for the TRS-80 Color Computer that was different; you could create push content billboard advertising style artwork on floppy disk directories that bypassed the loading process. No booting was necessary to see the artwork, just typing DIR would invoke a scrolling mural of semigraphics art preceding the files on the disc. Light pens were rather fatiguing to use. Constantly holding it up against the screen. And the Gibson/Koala pen for the Apple II had this square box that would follow the pen around and obscure the "pixel-precisioness". You never knew exactly precisely where it would be. How can you compete with vector graphics and a lightpen? I would vote more specifically Art Master, which has better animation features than the dedicated animation cart Animaction, in my opinion. .. I would like the option of direct inputting and editing of coordinates, but the lightpen is definitely a prerequisite for fluid drawing on Vectrex. 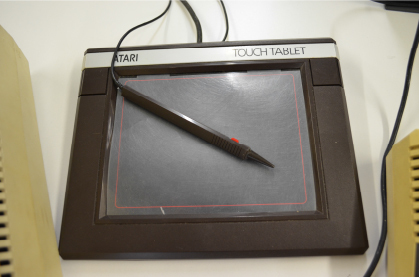 I loved the Atari Touch Tablet. Where do we draw the line at 2nd generation? If KoalaPad for various home computers is counted, would similar drawing programs from the mid-late 1980s also count? Those would border on productivity, e.g. OCP Advanced Art Studio on the C64 compared to pure toy programs like the earlier ones for video games. I even used AAS to touch up an already drawn image and print for the cover of my art book in junior high. 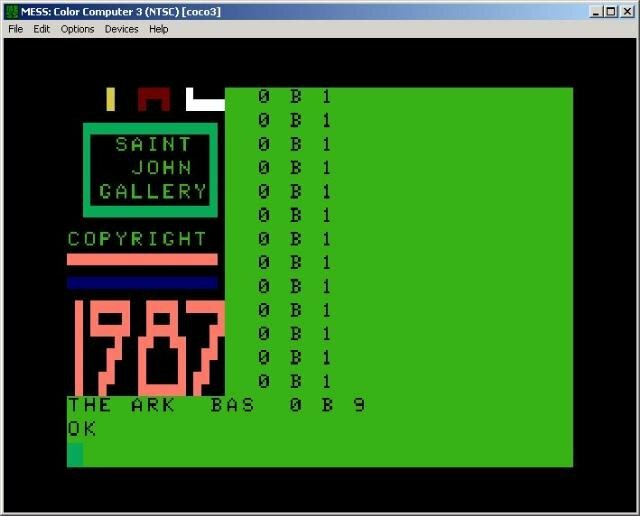 I liked paint for c64, its largely like ms paint, or GEOS paint. Even had zoom, was always fun to troubleshoot color issues, since it could only use 3 colors per tile, but all 16 over the whole screen. I played Fairchild paint quiet a bit. Never had it but think the vectrex one would be awesome with the light pen.